In this workshop we will address the subject of trusting our body, our skin, center and improvising the dance into the unknown. 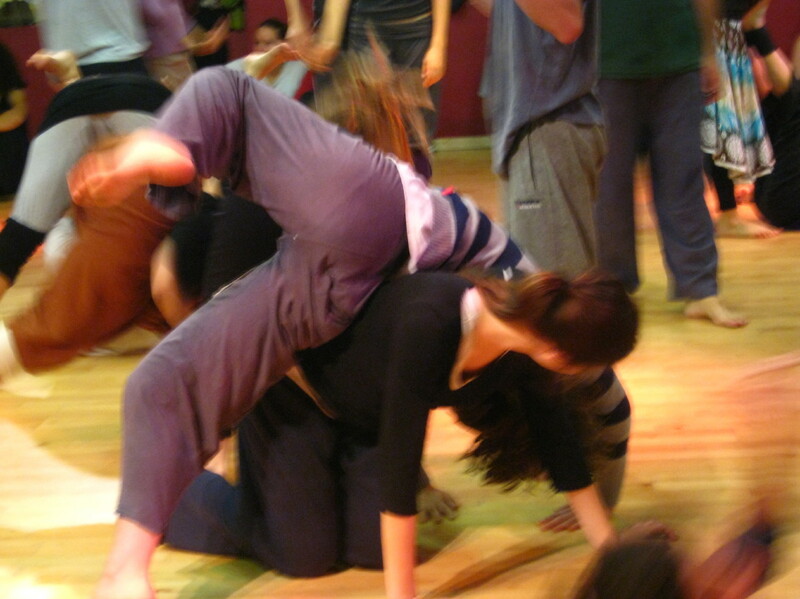 In Contact Improvisation we stay in the moment and decide in an instant where we go, where our body will move and how we react to our partner’s choices and dance. We will playing, and researching how much we can let go of planning and go into a place of trust that whatever we do now is exactly what the dance needs. After the class there will be a jam of two hours where we can continue our dance. The class is 15 Euro and it includes as well the jam. Place – zaal 100, De Wittenstraat 100, Amsterdam. In this class we will explore our back space and fall into the unknown to find a partner there. Our back is the largest surface we can offer for our partner, yet we usually don’t have so much attention to it as we cannot see it. We will be expanding our abilities to catch ourselves and to sense without watching over our back. We will use different movement pathways that will test your sense of security, and will give stronger abilities to dance and fall into the unknown. In this weekend workshop we will explore and go into a journey – weaving two modalities: vocal &voice work with movement & dance. The workshop will allow you to deeper understand and connect to your movement and your voice, to realize how they are connected and to manifest and embody them in a new way. We will work individually with partners and in group, a sound scape can be created and an inner voice can be found. We will come to explore our truly unique voice, our own organic movement, our own inner rhythm. Join us for two days of journey inside our body trough listening, dancing, singing creation, playfulness and fully truly expression of your own unique you. The workshop will be led by two artists and teachers that have specialized in their field and now combine their knowledge to lead and share it on a new level. We will be gathering for the weekend in a very special place to conduct this workshop – the Odessa ship, a place that will hold us as we go into this journey. It has a magnificent and warm inner deck and a beautiful upper deck with room and view into the Amsterdam water. 9:00- arriving and landing on the ship deck – registration. 10:00- 13:00 Acquaintance with integration of voice & movement, exploring our voice, learning technique to express it. 14:00- 17:30- Research working – a laboratory and research into creating from our body with voice & movement. 10:00-13:00 – Movement & Voice class, learning to encourage our self-Authentic creation, moving from Solo, to duet and group work. 14:30-17:30 – Using our new tools to create an instant composition of both modalities. Danielle Dinka is an explorer of voice-body-movement. Teacher/Therapist in the method of voice & movement integration. Musician (singer, player) and a curios mover. Tom Goldhand is a Dancer, movement teacher and holds a M.A in Dance Movement therapy. Tom teaches in Europe for the last 10 years and specialize in Dance Improvisation, Contact Improvisation and instant composition. This workshop is not about the high physicality or acrobatic side of contact improvisation, nor is it about the “choreography” of a specific massage session, but rather on the exploration of what happens in the body when it is being touched in different ways and manipulated into movement, what are the principles behind a treatment and what is the meeting point between two bodies – therapist and patient. What happens in the body of our partner, but also and as important, what happens in our own body as we move into physical contact. The workshop comprises of 2 days, you can join one day, however it is advised to join both of them and a priority will be given to people who wish to attend to both of them. Day 1 – feeling, sensing and exploring different tissues and movement in the body. Bodywork session going into dance. Day 2 – manipulating, moving together, and relaxing inside the session. Contact impro as a massage and body therapy. 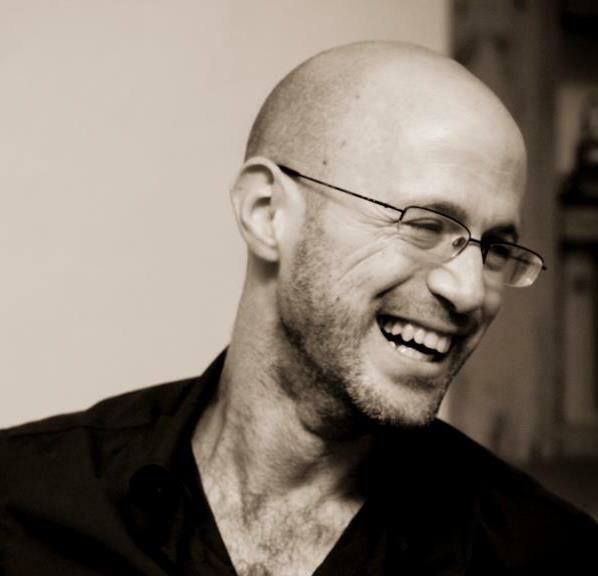 Tom Goldhand has been working in the field of movement and somatic over the last 10 years, he is a dancer and teacher in the field of improvisation and contact improvisation, a group facilitator and a certified body therapist (Ilan Lev method). Tom holds a Master degree in Dance Therapy. For the last 4 years he has been the movement teacher for the 1st and 2nd year in the Massage Akademie in Amsterdam. (Early birds – until 20.8) 120 Euro.